It’s beginning to look a lot like Christmas at Niagara University. Festive red ribbons adorn campus light poles, a giant evergreen festooned with white lights illuminates St. Vincent’s Circle and events celebrating the season are taking place on what seems like a daily basis. 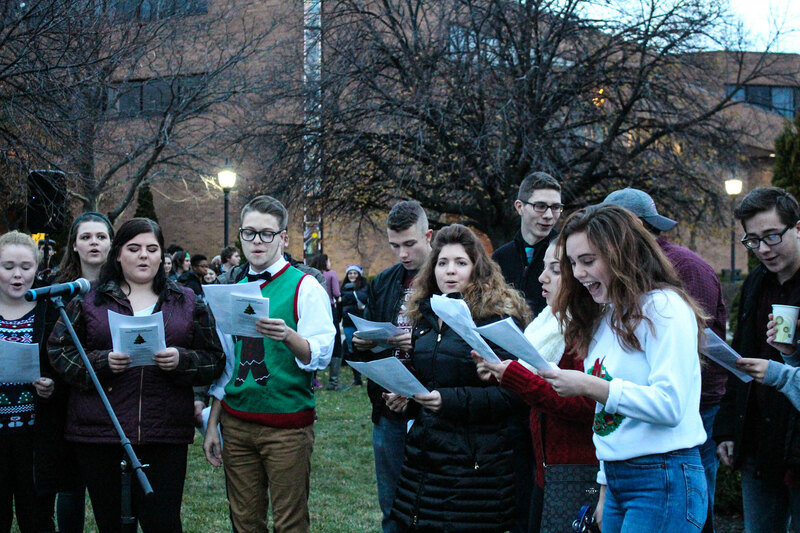 More than 100 members of the campus community came together Nov. 28 for Niagara University’s annual Christmas tree lighting and blessing. The event, which marked the beginning of the holiday season on Monteagle Ridge, featured remarks from the Rev. James J. Maher, C.M., NU president, and Christmas caroling by the Soar Throats student acapella group. 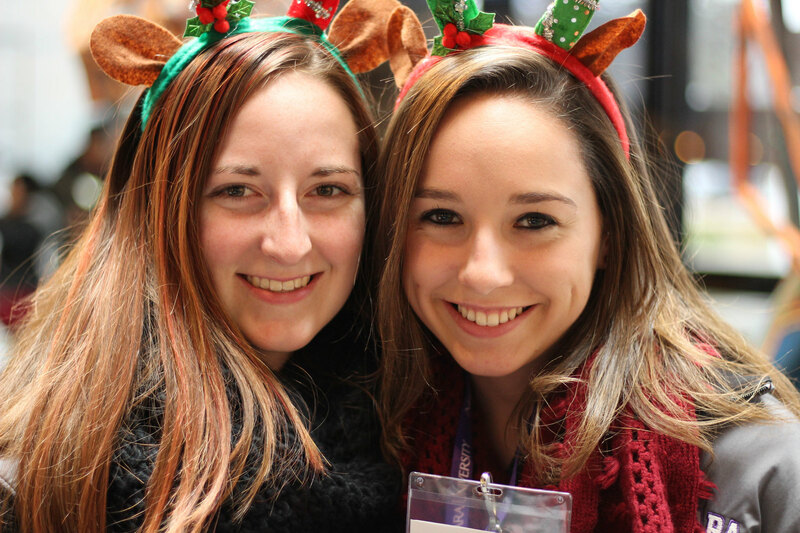 Four days later, Niagara University’s Office of Undergraduate Admissions presented a Christmas-themed version of its popular “On the Ridge” program in the Castellani Art Museum. Prospective students were greeted by Santa Claus and his elves, and treated to seasonal fare while learning about the application process and financial aid opportunities. At the same time, the Niagara University Opportunity Program held a Christmas concert in the Alumni Chapel. 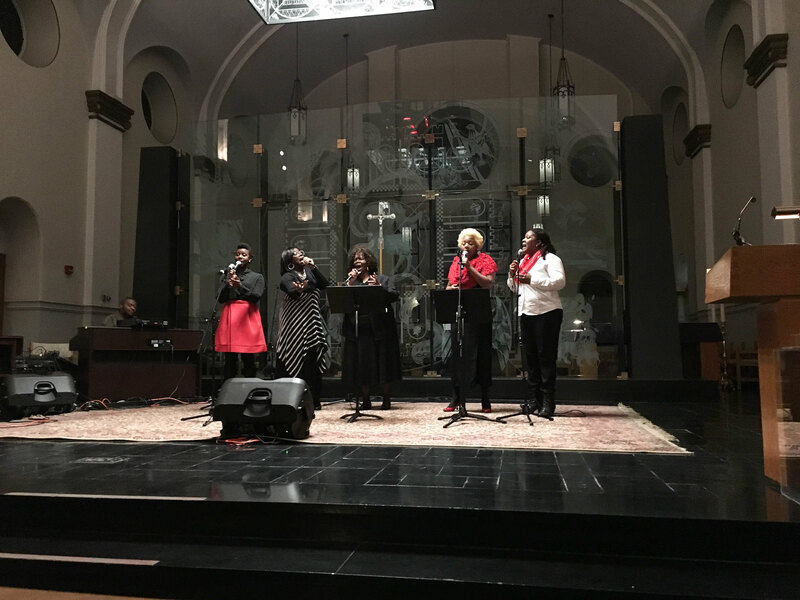 Co-sponsored by the offices of Multicultural Affairs and Campus Ministry, the event featured performances by Constance Mathews, Joshua’s Generations and Lydia Marie, among others, and raised funds for Community Missions of Niagara Frontier and future NUOP programs and initiatives. Tonight at 7 p.m., Niagara University’s Office of Campus Ministry is holding its annual Advent service, titled “Lessons and Carols,” in the Alumni Chapel. The event includes Scripture readings, reflections, songs and prayer in preparation of the celebration of Christ’s birth. This Thursday, the Campus Programming Board is inviting students to stop by the Gallagher Center from 11 a.m.-1 p.m. to write a letter to Santa Claus and decorate Christmas cookies. As part of the Macy’s #SantaProject campaign, the global retailer will donate $1 to Make-A-Wish for each letter collected. That same evening, the Niagara Law Center is holding a holiday toy drive in conjunction with a Continuing Legal Education seminar and party in the Castellani Art Museum. The toys will be donated to Niagara County children. The CLE session, titled “Santa Who? Identity Theft and How to Keep Your ‘Toys’ Safe,” begins at 4:30 p.m. and is followed by the party and toy drive at 6:30 p.m. Photos by NU communication studies majors Emily Kernin and Andrew Emmons.